Now that the time has changed and the weather is warmer, many of us amateurs will be heading to the links hoping to play our best as well. Of course, most of will end up wishing we stayed at home playing the Golf Channel fantasy challenge when we hit the bunker for the 50th time. 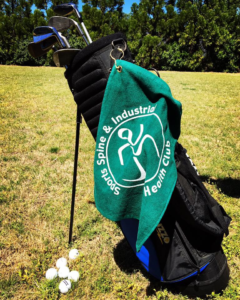 The problem is, most amateur golfers have been sitting around all winter waiting for the spring season, only to realize that their bodies are not in the same shape they were last fall when we put our clubs away. Stretch it out: Begin now doing a nightly stretching routine that includes your hips, back, chest and shoulders. Hold each stretch for 20 seconds and do 2-3 repetitions of each. Get strong: Along with stretching, begin a golf specific strengthening program 2-3 times a week. Doing exercises such as crunches, lunges, squats and planks will pay off big on the course. Check it out: Most amateur golfers have equipment that does not fit their swing and may be doing more harm than good. Take the time to have a professional fit your clubs to you and your swing. Take a lesson: While you’re getting your equipment checked, take a lesson with a PGA teaching professional and you should be able to kill 2 birds with one stone. Rest up: To play your best, arrive at the course well rested. Most golfers underestimate the power of a good nights sleep. Eat “fore” winning: What you eat today is the fuel your body will use tomorrow. Eating a good balanced meal about 1 hour before your round helps your blood sugar level out. To stay mentally and physically sharp over a 4-5 hour round, pack a snack and eat every 2-3 hours. Warm-up: Try to get to the course at least 45 minutes before your tee time. Take a short walk around the parking lot to warm up your muscles then slowly stretch your hips, back, chest and shoulders. Get loose: After you have warmed up, hit the range. Start with your wedges taking easy, ¾ swings to get into a good rhythm and progress up through your irons to your driver. Hit 4-5 balls with each club then end your session with your wedge and putter, focusing on your short game. Drink up: Water that is. When you play golf, the thing that causes mental and physical fatigue the quickest is dehydration. The best rule of thumb is to drink 12-16 ounces of water every 3-4 holes, increasing this as the weather gets warmer. Have Fun! : Every thing I know about golf shows that when you are relaxed and having fun, that’s when you will usually play your best. Let us know if you have any questions or have a nagging injury that we can help you overcome!